We are delighted to announce that Fylde DFAS has received a confirmed grant of £24,000 from the Heritage Lottery Fund (HLF), to pay for a two-year project to raise awareness about the Lytham St Annes Art Collection. Their ‘Tagging the Treasures’ project will recruit volunteers to research artists, art works and donors, producing a complete online and printed catalogue that will make information about the collection fully accessible for the first time. Information gathered by volunteer researchers will be used to produce educational materials, a catalogue and a new website dedicated to the collection. A part-time coordinator will be appointed to collate all the research and put it online. There will be displays, lectures, roadshows and exhibitions, and people will have opportunities to get involved at every stage. The Art Collection has its origins almost ninety years ago when John Booth of the Booths Supermarket chain donated a Richard Ansdell painting “The Herd Lassie” to the Lytham St Annes Corporation. This was the start of a stream of bequests and donations. Local Alderman, James Dawson, donated another Ansdell painting six years after Booth, and, over time contributed more than fifty paintings and sculptures including an outstanding work by artist Henry Fuseli. Eventually the collection grew to over 200 works. The art gallery planned to house these works was never built so most of the art works were kept in the town hall, either in rooms where they couldn’t be seen by the public or languishing in the basement. The new Fylde Gallery, incorporated into Booths grocery store in Lytham, finally allowed an opportunity for some of these works to be on show and sparked a renewed interest in the collection which features a large number of paintings by Richard Ansdell, the only artist ever to have had a district named after him. 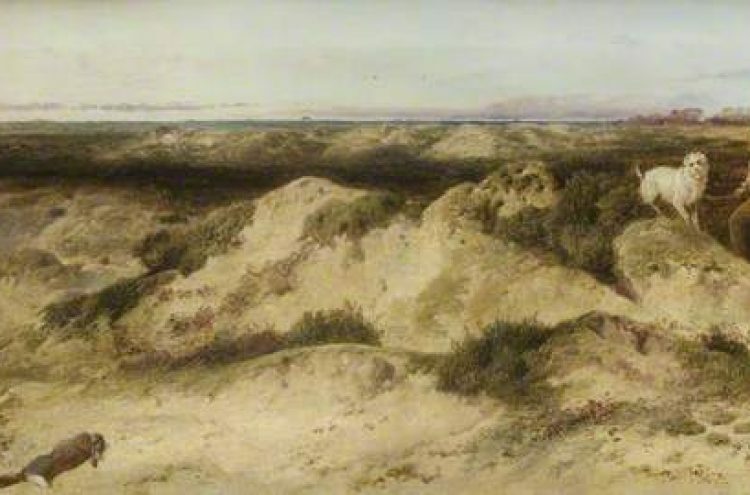 The new project will be managed by Fylde DFAS, overseen by a sub-group of experienced volunteers, working closely with The Friends of Lytham St Annes Art Collection, Fylde Borough Council, Lancashire County Museum Service, the County Libraries and other groups such as the Lytham St Annes Civic Society. It will rely heavily on volunteer involvement. Fylde DFAS has now recruited a part-time project coordinator on a consultancy basis. This is the second year in succession that Fylde DFAS has won a substantial award. Last year it received a £20,000 Arts Council award for its community arts project, It’s A Birdie!